The soft, cottony clouds create their own undulating patterns in the skies that have miraculously cleared up after a night of continuous rain – I am standing on a vast expanse of land peopled by elephants, their number far more than I have ever seen at one time in my life. 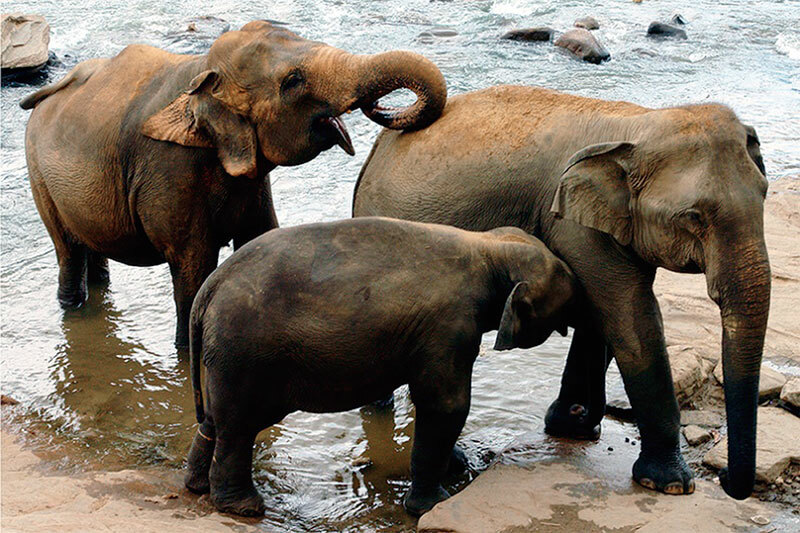 After a before-sunrise start, I – along with two of my fellow travellers – have left the cocoon of comfort that is my hotel room in Colombo to have a close encounter with the elephants at the famous Pinnawala Orphanage in Sri Lanka. I watch with fascination as a mother trumpets and her little one immediately trundles across to be at her side. A few minutes earlier, I have with a great deal of enthusiasm climbed atop a wooden platform below which some elephants stand with their attendants. I have picked up a plate of fruit to feed one of them and am impressed by its alacrity in following my hand and the speed at which the fruit vanishes. It is my second trip to Sri Lanka in a span of five years. The change in the island country is distinctly visible. Smiles abound in plenty, the roads are well-maintained and clean and the tight security and military presence witnessed on my last visit now seem to be a thing of the past. I look forward to rediscovering the country with its several beautiful natural spots that offer ample opportunities to relax and rewind. Having returned to Mumbai, many memories and moments abound as I look back on my brief sojourn there. After landing at the Katunayake Airport, we have rushed through the rain and driven over a well-maintained highway to Bentota. 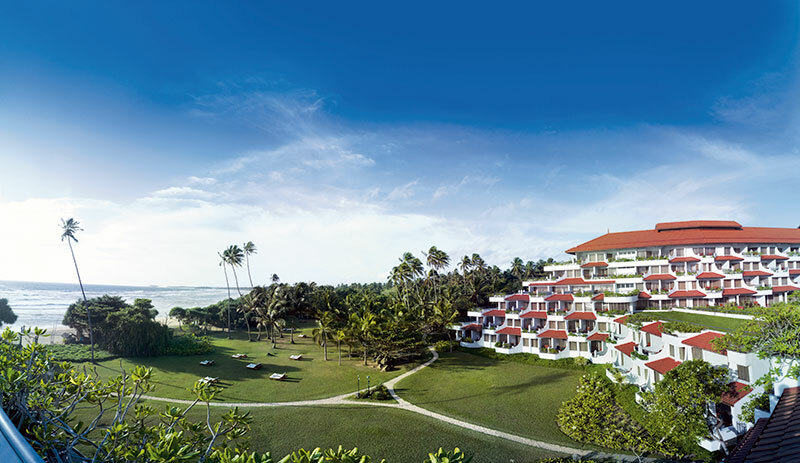 Welcomed in the typical Sri Lankan style at the Vivanta by Taj – Bentota with a garland and a song sung by young girls, I push my sleepiness to the back of my mind and lose no time in dropping off my bag in the room. 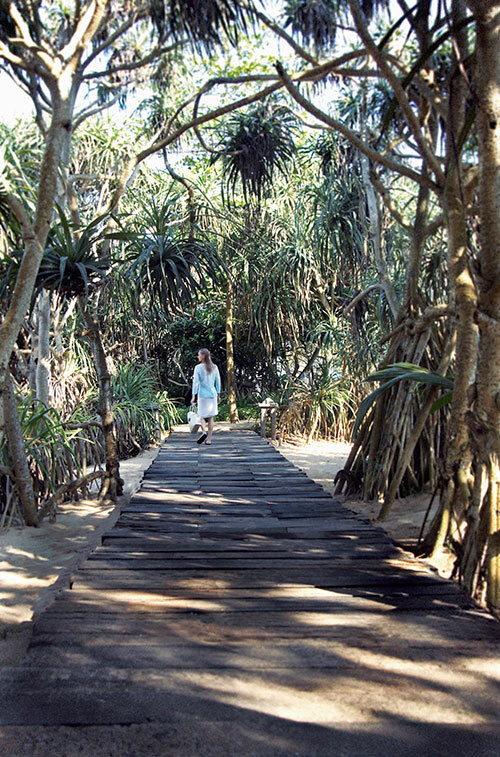 Walking out, I explore the natural beauty of the beach that nestles gently against the hotel. The recent rains have left the sand firm enough to walk upon – and that is enough temptation to spend time strolling along the clear coastline. A short while later, the sky turns a dusky orange as the sun sets and I return to get ready for a gala dinner on the beach. First, we slip into unwind mode at the Tease Bar in the expansive property and the mood sets in quickly, as coolers and cocktails do the rounds. As all of us sit down around the table at the Shack, for a sumptuous seafood repast; a group of musicians churn out foot-stomping numbers nearby. The rhythmic beats are seducing, almost tempting me to get up and dance. But, wine and the enticing culinary offerings keep me glued to my seat, till the last morsel is wiped clean from my plate. The clean roads are inviting and after a short drive we reach the Brief Garden where Bewis Bawa, the brother of Geoffrey Bawa, made his home. He was one of the most renowned architects and landscape artists of the country and as I stroll around, taking in the different statuettes, the verdant walkways, and the carefully maintained gardens, I find it a home anyone would love to live in. I flop down for a few minutes on a painted white bench and stretch my legs. As I sip the cup of tea that is offered, I spot in front of me a canopied walkway. I can almost imagine a bride sashaying down the natural umbrella to where her groom awaits her in this veritable Eden on earth. In the vernal splendour of the garden, the name of Bewis Bawa lives on. It is, as the present inhabitants tell us, called the Brief Garden because his father purchased the land after a successful legal brief. The design of the garden has created narrow winding pathways through dense tropical foliage. They run up and down slopes and then suddenly open onto a staircase, a patio, a pond, or a strategically placed piece of sculpture. It is almost as if Bevis has tamed the wildness of the jungle – but I am warned that if we stray too far from the paths, the wild is but a few feet away. We then set out for a sunset cruise aboard a small yacht. 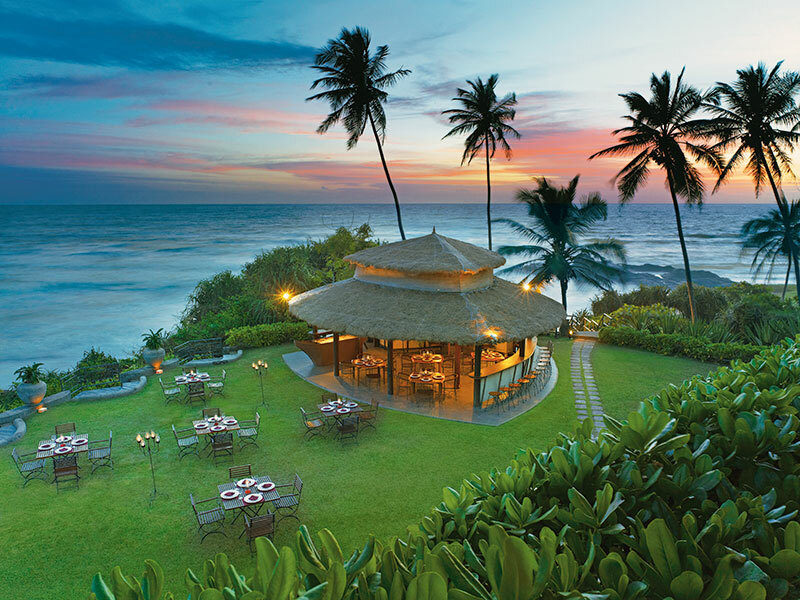 “Ah, to be young and in love,” I opine, as the musicians strike up several tunes – amongst them many popular Hindi numbers and the attentive Vivanta by Taj – Bentota staff serve small Lankan eats and drinks (the coconut-based cooler is delicious). The boat glides along smoothly and as we pass many homes on the coast, I am wont to wave out warmly to children who smile when they see us going by. I am tempted to waltz across the boat but the movement of the water and the want of a partner keep me from indulging my fantasy. The spell cast by the romantic river does not end when we disembark. For we step out on to the small jetty only to be greeted by the sight of a high tea in the garden of a beautiful bungalow that adjoins the waterfront. The service is impeccable, the niblets hot and spicy and the cuppa refreshing. A couple of us saunter into the bungalow and find it well-appointed. We realise that this is one of the high-end residences that are let out for wedding functions, couple stays or family holidays, all at a price, of course. On our way back to the hotel, we visit a cinnamon factory (for want of a better word) and pass rows of the bushes that have been pruned carefully to the required height. We are told that in the early days of the island cinnamon was grown in wild natural groves that were owned by the then ruling princes. The advent of the Portuguese who made their way to Ceylon around the southern tip of South Africa increased the production of this valuable spice. As I pick up bundles of the finished sticks to take back home and also a few packets of cinnamon powder to sprinkle into my tea or on my dessert, I listen to the many health benefits this spice affords. It has been an Ayurvedic remedy for years – most importantly it has been known to stabilise blood sugar and lower cholesterol. I need no more convincing to pick it up as the many packets in my hand indicate! 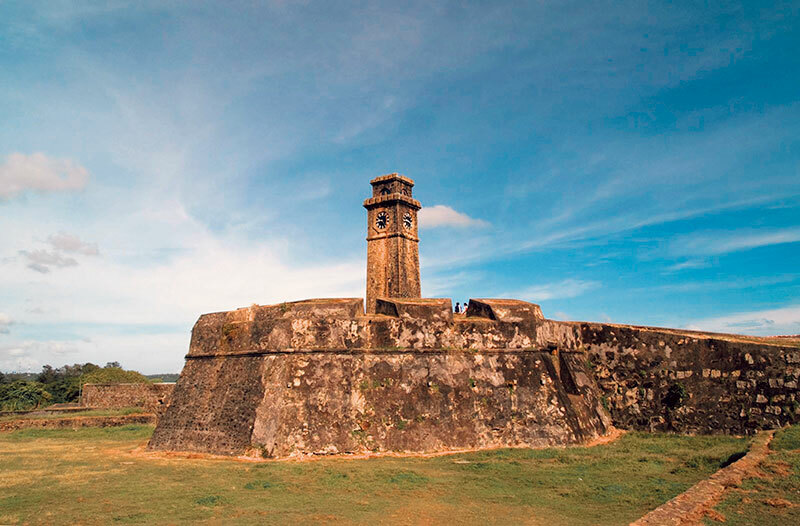 Shopping for spices and various blends of tea dispensed with, we drive off to further explore the attractions of Colombo. 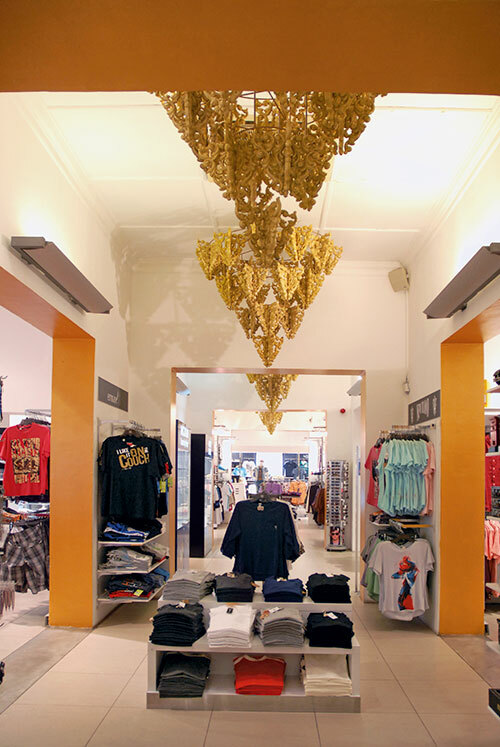 Odel, Sri Lanka’s leading fashion and retail store, and Barefoot, the upmarket handloom designer stop in the Sri Lanka, lure us in. 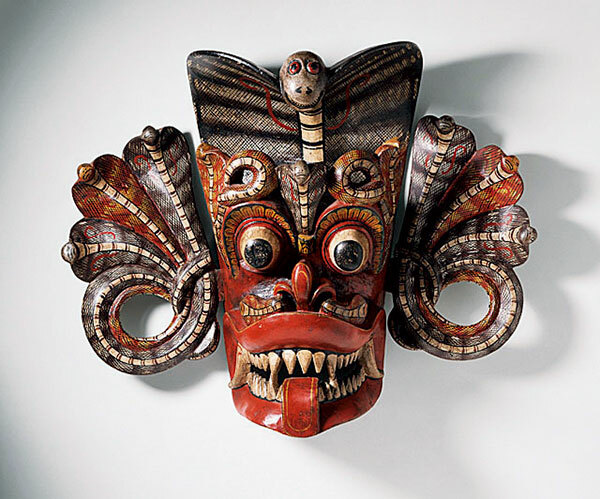 The Mask Museum Ambalangoda has a colourful mix of masks that are used in plays and rituals on varied occasions – each with its own myth that lends it a special significance. Most of them, as the tale goes, are meant to ward off different illnesses. 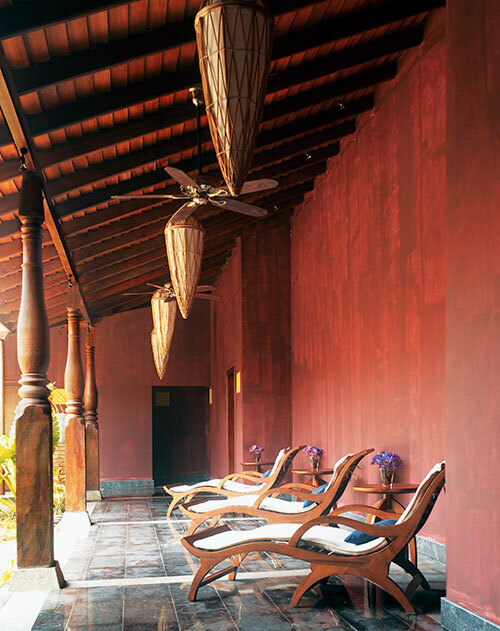 Back in Bentota, I dump my recent acquisitions on the bed, head down to the lobby and walk across the pathway on the lawn that takes me to the property’s self-contained, secluded Jiva Spa. I climb up the steps, only to be enveloped by a sense of calm – the open air quadrangle in the centre draws my eyes; branches of varying sizes embrace the pillars that hold up the roof. Around the square, lined up against the wall are lounging chairs, where I am invited to sit. 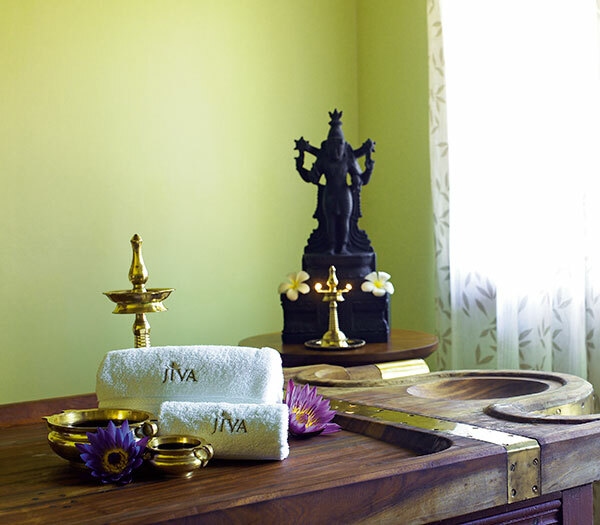 I choose the Vishram – the special relaxation full body massage that promises to melt away my stress. When I have finished sipping the warm green tea, I am ushered into the inner treatment room. Suitably garbed, I slide onto the bed. And let myself waft off into an hour of sensorial relaxation. For the therapist’s skilled hands gently work on my tired and sore muscles after the day’s ramblings. The subtly fragrant signature oils blend with the richness of kewda and frankincense. Sandalwood and sesame have also been used to release the tension. At the end of the massage, I leave, reluctantly. The night is still young though, as I discover. For, the hotel has promised us a Sri Lankan soiree. When I return to my room to wash away the residuary oil, I find a red and yellow sarong draped elegantly across a corner of the bed. Having been requested to carry black tops, I (as do the other girls in our group) slip into it, although it does, if I were honest to admit, take a couple of tries, to get it to stay firmly across my waist. When we gather in the ballroom that has been magically transformed for the evening’s entertainment, we are in sync with the spirit of celebration. In one corner, baskets and woven offerings are displayed; the stage at the far end is the centre of attraction as dancers perform to one song after another! And of course, the food counters are manned by chefs who conjure up a variety of local delicacies. It takes little urging to make us step up and dance, sarongs in place – soon it is almost midnight, and we are all loath to let the magic die out so soon. We walk through the doorway on to the sand beyond, our stilettos in our hands. Under the moonlight and star shine, the beach acquires a special magic – the stroll giving the evening and our sojourn in the diamond island a fairy-tale like finish.